This musical beast prowls the dark back alleys of Old School Heavy Metal, sharing its DNA with progenitors like Accept, Rising Force, 80s Black Sabbath, Mercyful Fate, Dio, and Motörhead. 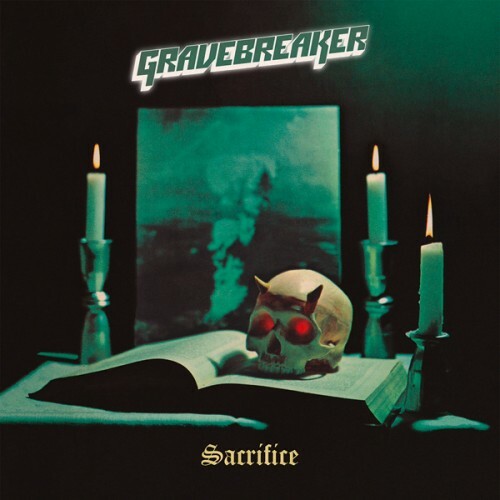 No gravestone has been left unturned in GRAVEBREAKER's quest for the original sounds of Heavy Metal - the hot-tempered drums, the irascible guitars and the fiery growls, all presented at breathtaking speed (oh, and the ferocious keyboards, of course...). Only Traditional Heavy Metal, Accept No Substitute! Exclusive KARMAZID design, limited to 50. ..